As I wake up on a Sunday morning around 11 am, my husband opens the shutters and lets in the mid morning sun. I'm tired from having a few too many drinks the night before in the open air bars of Budapest. I stretch and yawn as I take in the Dunabe river through our large windows from our bed. 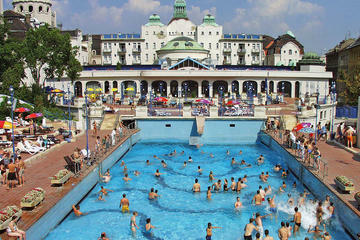 Today is the day I take on the Gellert Bath spa. We purchased our day pass upon entry and received our wrist bands that gave us an all-access pass to the the spa. The wrist band is used to gain access to your locker, which was a bit tricky to figure out. The nice women in the locker room helped me figure it all out. We opted to use the shared locker room instead of the cabins, that honestly didn't look like that much of an upgrade. If you require extra privacy, go ahead and pay the extra forints. The wave pool made for great laughs under the Budapest sun. Tourist and locals alike bobbing with the waves! Another thing that made the view from the outside wave pool epic was the skyline. There are portions of the property where you can see skylines with large mature trees and other parts showed the architectural buildings in the forefront. The indoor pool is beautiful as it is a nice art piece stuck in time. Although I understand the appeal of visiting this bath house, I don't think my husband and I will be back very often. We hope to visit all of the bath houses in Budapest, and there are a lot. The spa stayed open until 8 pm, but around 6 pm the restaurant ran out of food, so due to hunger we left a bit early. We could have relaxed until closing time, but that's okay. The locals had coolers, which is a great idea for future bath experiences. Do you get famished in water? Or is that just me? 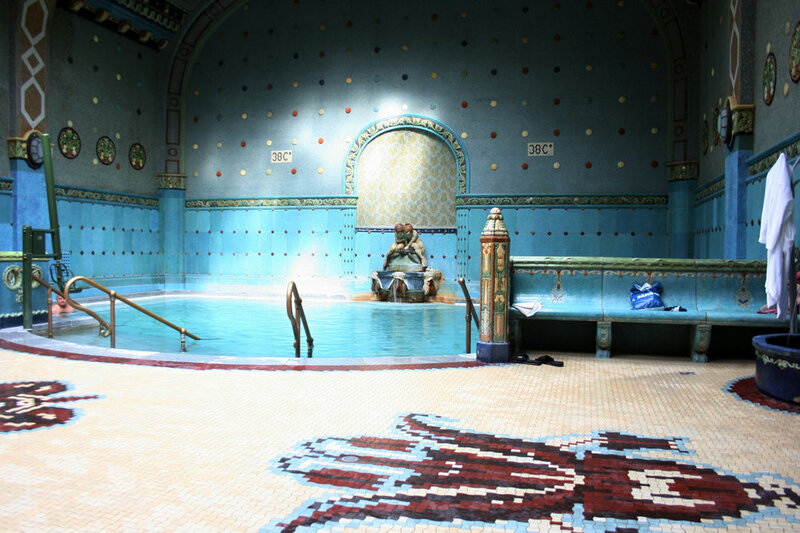 What is your favorite bath in Budapest? have you been to Széchenyi? Let me Know in the comment section below.